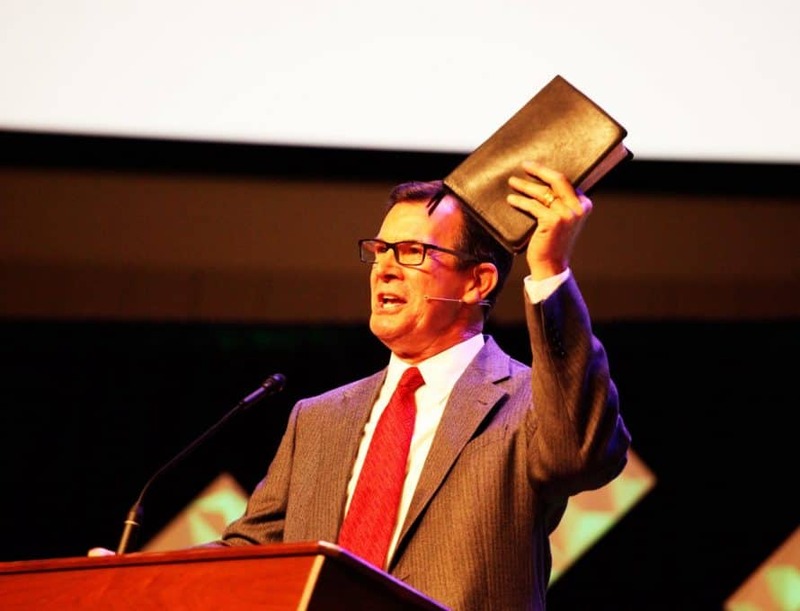 SPRINGFIELD – With an animated and contagious energy, Herb Reavis brought a message on the miracle of spiritual awakening Oct. 23 during the Missouri Baptist Convention annual meeting here. The pastor of North Jacksonville Baptist Church in Jacksonville, Fla., preached out of the third chapter of the book of Jonah, explaining that if Christians, truly desire to see a spiritual awakening like took place in Nineveh, it will require three things: a rededication of God’s servants to the mission, message and master; a reiteration of God’s simple, severe yet saving message; and a revival of God’s program. “There couldn’t be spiritual awakening in Nineveh until there was a spiritual awakening in Jonah,” Reavis said. “Jonah had to rededicate his life to an unchanging mission, which is our mission. The Bible says that people are lost, they’re in sin and they’re spiritually dead. The only way they’re going to go to Heaven and have life is through a personal encounter with Jesus Christ, and it’s the mission of the church to give out that gospel that Jesus saves. Noting that Nineveh’s was a completely pagan and godless culture, Reavis said that Jonah’s repetition and reiteration of God’s message of repentance was to their ultimate transformation. “Program” can seem like a dirty word in modern Christianity, but Reavis said it’s the third thing from Jonah 3 that is essential for revival.